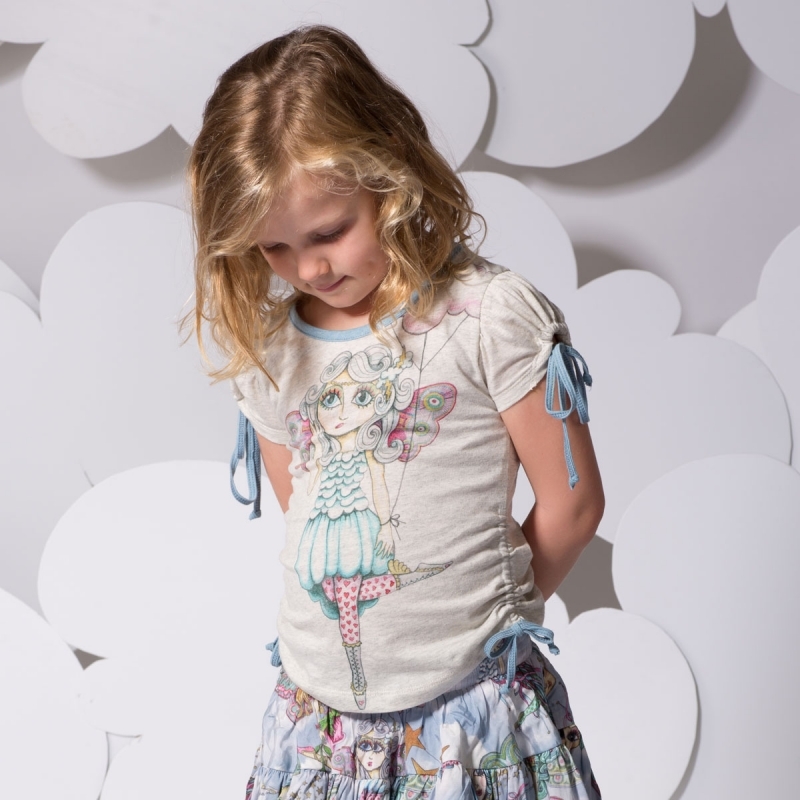 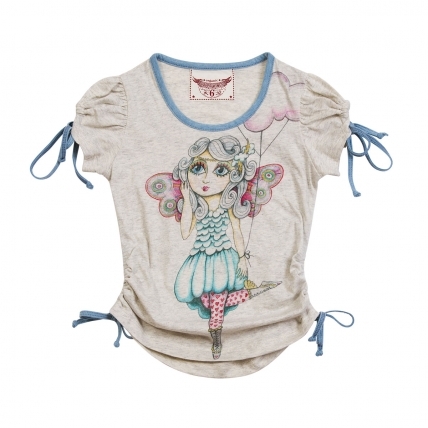 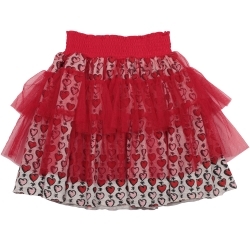 cloud fairy tee - Itsy Bitsy Me ! Classic Paper Wings puff sleeves knit tee with blue drawstrings and a whimsical fairy on the front. 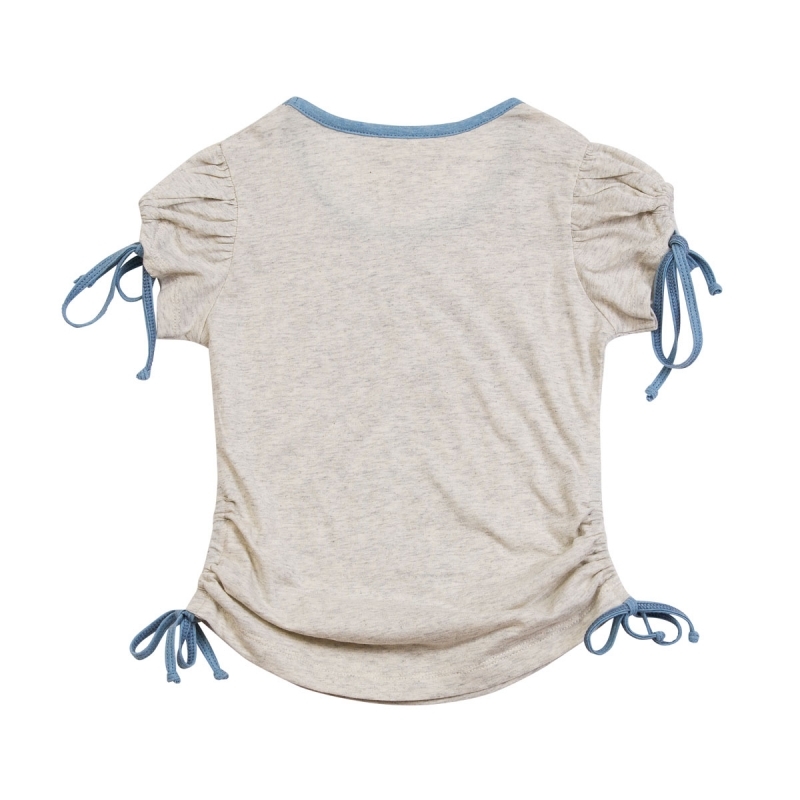 Generous cut, please use size chart as guide and fit according to height of child.